Mixed Vegetable Paniyaram/ Ponganalu are made with either idli batter or dosa batter and mixed vegetables. These can be served for breakfast or snack with chutney. 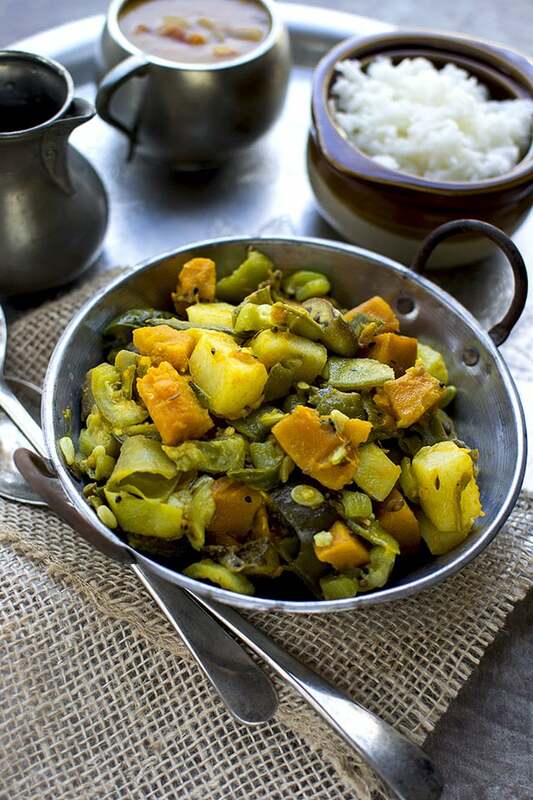 Recipe to make popular Gujarati mixed vegetable dish Oondhiyu/ Undhiyu. Veggies are stuffed with yummy coconut-peanut stuffing and then pressure cooked to perfection. 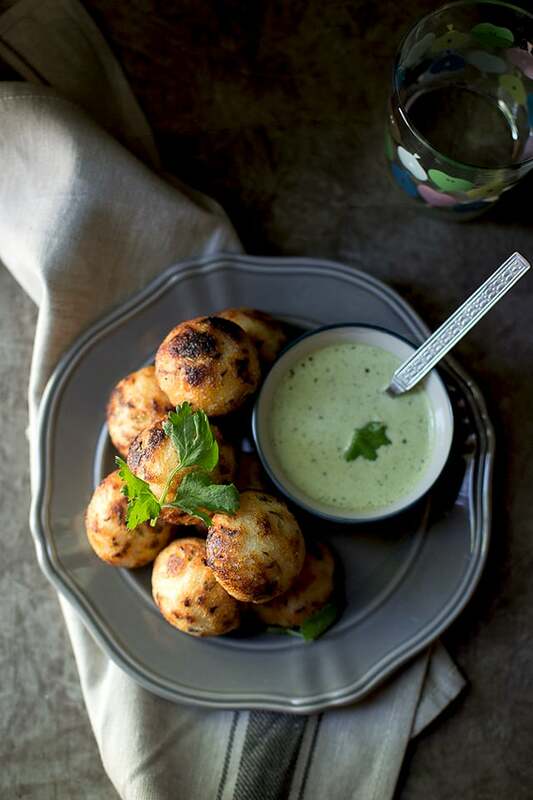 Served with pooris and shrikhand — this is one delightful meal that is sure to please anyone. 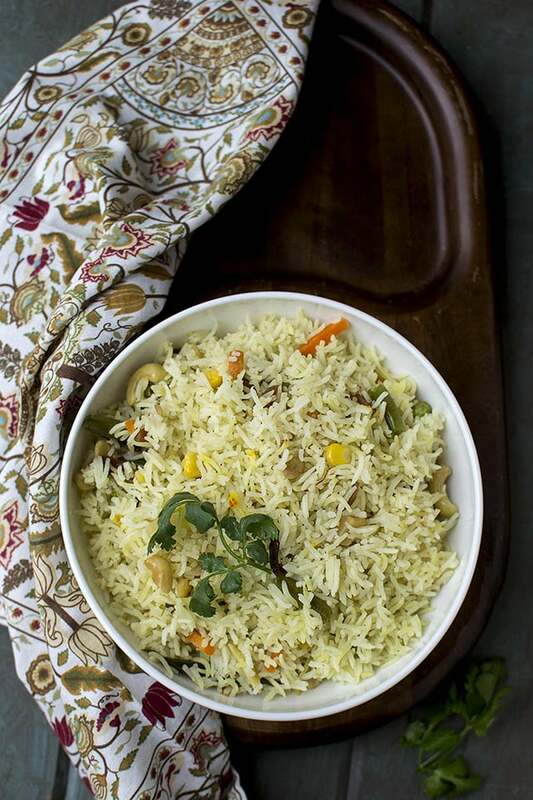 Recipe to make Jaipuri Vegetable Pulao. Colorful, delicious and easy to make. 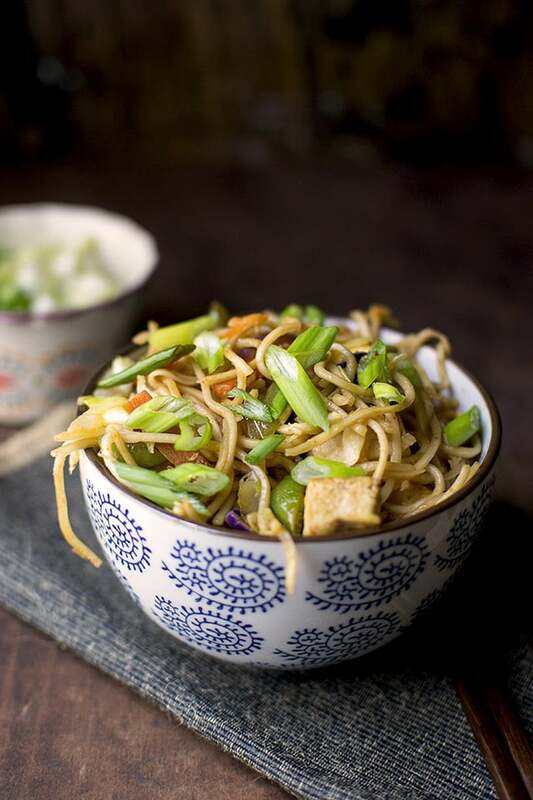 This is a great dish to make on a busy weeknight or to serve at a fancy party. Charchari aka Chorchori aka Chochchori is a simple everyday dish made in Bengali households. 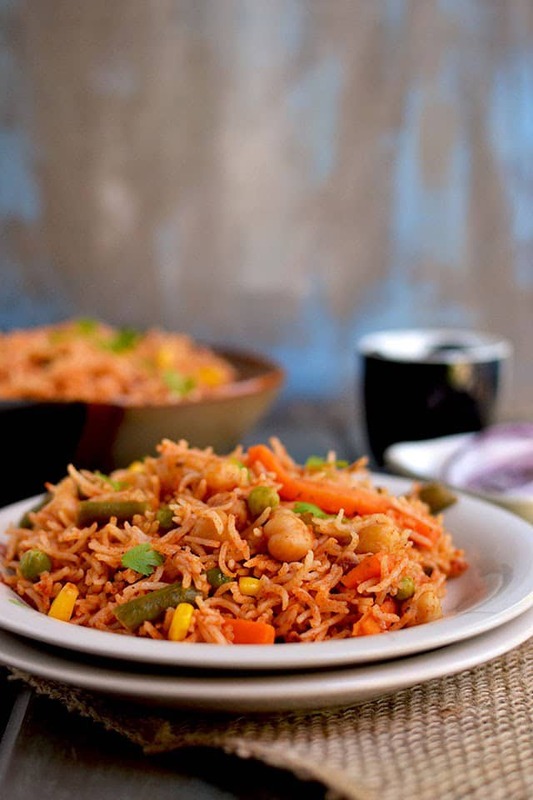 It is an easy to make mixed vegetable dish that is healthy & delicious. 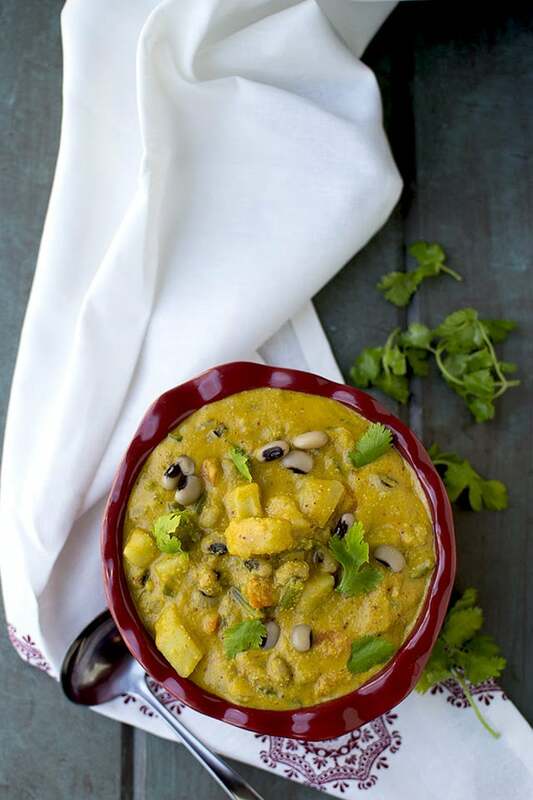 It can be served with rice and dal for a filling and comforting meal. 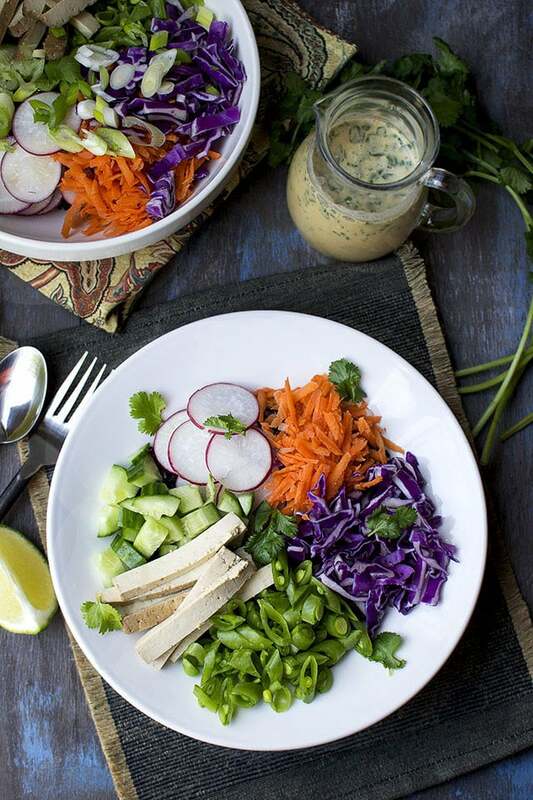 Vegan Thai Coconut Lime Dressing — Creamy & delicious dressing with Thai flavors is great for salads, as dipping sauce for spring rolls or lettuce cups. Stuffed parathas with a yummy twist — filling is made with 9 different veggies. It’s filling & delicious. 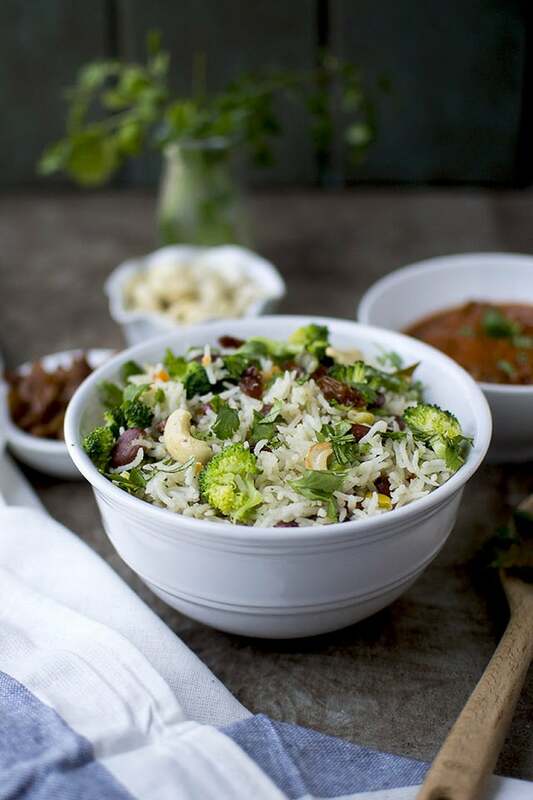 Creamy and delicious Makhani rice with mixed vegetables. It is equally good to serve at dinner parties or as a quick weeknight meal.